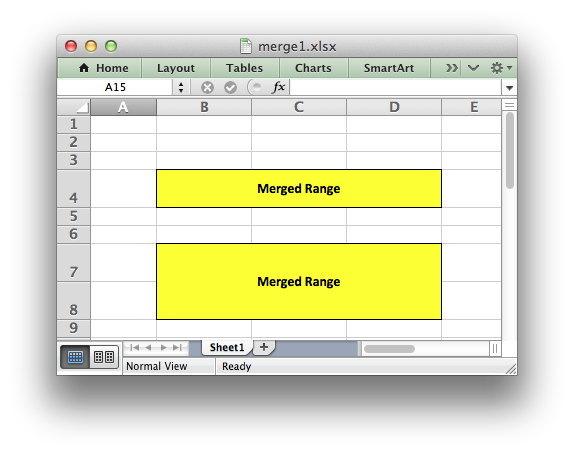 This program is an example of merging cells in a worksheet. See the merge_range() method for more details. # A simple example of merging cells with the XlsxWriter Python module. # Increase the cell size of the merged cells to highlight the formatting. # Create a format to use in the merged range. # Merge 3 cells over two rows.